Hello my name is Michael, you can call me Fimlys. How is that for an about page? Ok.. I’ll give you a little more information…. I enjoy Computer/Video games and specifically World of Warcraft. I play primarily on Draenor-US. I belong to the Alliance guild Mythos and my main is Fimlys a NE Hunter. I also have Fhuun, a Draenei Priest, Fyra a NE Druid, Freez a Human Rogue, Fizz a gnome Mage, Furis a dwarf Paladin and even Fellmara a forsaken Warlock (yes, Horde! …) . Yes… I name all my characters with an F.. No, don’t ask me why. I don’t know. Hopefully you will enjoy this site. I intend for this to mainly be a place for posting information/stories about World of Warcraft. Other things may crop up here from time to time though. Please leave me some comments. I see lots of hits to the site, but I’d like to know if you found the information useful/entertaining. I love feedback. I haven’t been keeping up any schedule lately but will post up stuff ever so often..
I’m also one of the hosts of the Twisted Nether Blogcast, a weekly Podcast about WoW and the WoW blogging/podcasting community. 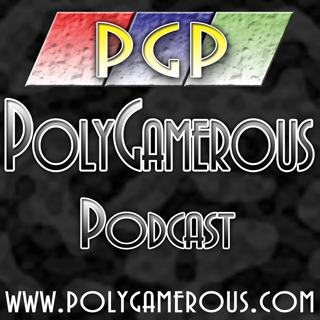 Oh yeah, and this other podcast called Polygamerous which is about video and computer gaming in general.